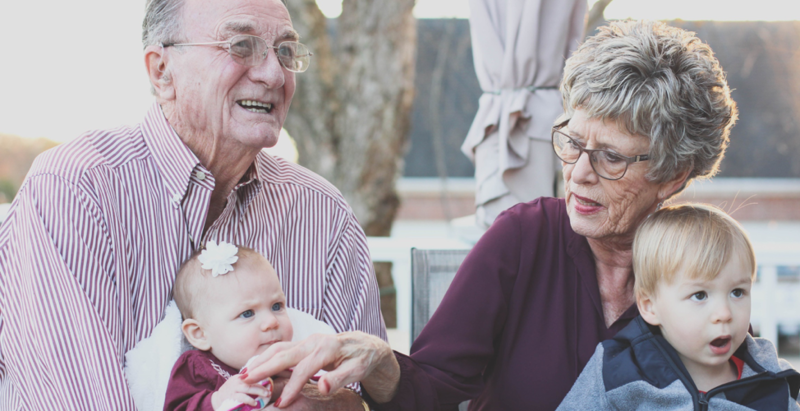 There are numerous benefits that come with being a grandparent, including reliving what it’s like to be a mom or dad, feeling young again, developing a special bond, being more mentally and physically fit, and living longer. Studies show that grandparents who care for their grandchildren live longer. The theory is that babysitters experience a reduction of stress and an increase in the love hormone called oxytocin. Despite all the pros of watching your grandkids, it’s important that the activities you’re engaging in are safe without compromising the fun factor. If you want to save yourself a trip to the playground, bring it to your backyard! One of the key staple pieces you should have at your home is a swing set. There are actually more benefits than you may realize. For starters, it promotes physical activity, which is important since one in three kids is obese in the United States. Swinging also gives kids a chance to be free, imaginative, and creative. For grandparents, simply pushing your grandkids on the swing is a good form of low-impact exercise. When shopping for a swing set, make sure you find one that’s durable. Consider the age of your grandkids when choosing between a chair, bucket, belt, tire, or double-set swing seat. Make it easy on yourself by having it delivered and ask your kids, a neighbor, or an in-store service to assemble it for you. For help in making your selection, check out this article from Family Living Today. Keep your grandkids occupied with educational yet entertaining activities such as pattern creation, alphabet games, art projects, and building. While they appear like fun and games to kids, your grandchildren are actually learning skills like creativity, problem-solving and spatial skills, strategy, early math and reading concepts, symmetry, fine motor skills, and more. There’s no need to get into making a complicated dish. Simply baking a batch of cookies together can be a bonding and learning experience. While you’re going through the different steps, make sure you’re explaining the importance of kitchen safety —from sanitation to how to handle tools to prevent injury. Take some time out to show your grandkids photos of their parents when they were their age. Share some stories from the past that showcase the family’s history, how things have changed over the years, etc. It’s likely that they’ll remember these moments and share them with their own kids down the line. You may be surprised to learn that studies show that seniors who engage in playing video games can improve their cognitive function. Meanwhile, your grandkids will get a kick out of the fact that you’re participating in one of their favorite activities. Think for a moment about the uncontainable excitement that comes with an Easter egg hunt. Take that same concept and transform it into a DIY scavenger hunt. Ideally, do this activity outdoors so you can all get some fresh air and vitamin D from the sun. When planning the hunt, try to incorporate modalities that reinforce color, matching, problem-solving, sounds, etc., to create more of a learning experience. 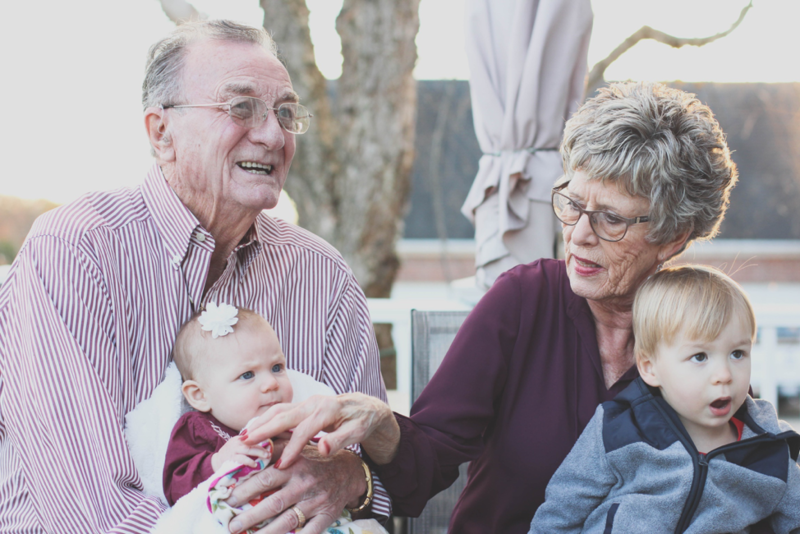 Taking care of grandkids can give you a renewed purpose in life, but it will also give the kids some fantastic memories that will last a lifetime. If you’re lucky enough to see them on a regular basis, try to institute a special tradition (think going to get ice cream at the same spot, a special meal at home, movie night, etc.) but do mix things up with age-appropriate activities as they get older. Enjoy these precious moments.